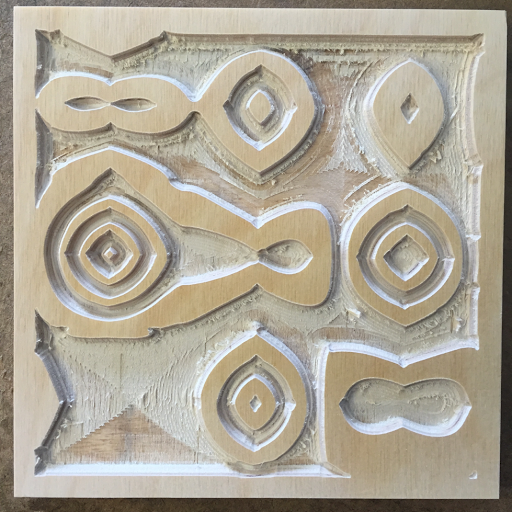 In an effort to keep expanding the horizons of possibility in printmaking, I’m testing the waters of a new skill – printing blocks without solid borders around the edge. This is another basic, foundational skill. When I remove the requirement to have a solid border, there are many more design possibilities available to me. I need a solid edge to clamp down the pieces on the router table. Solid edges help in rolling out the ink. Solid edges ensure even pressure across the block on the press. 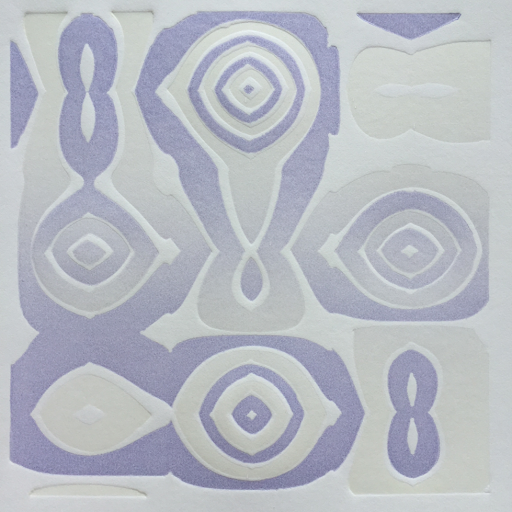 In multi-layer prints, ink builds up quickly if every layer has a border. and, of course, I can use the lack of a border as a design element. First, I cut my blank blocks with a little extra space for the clamps on the router table. 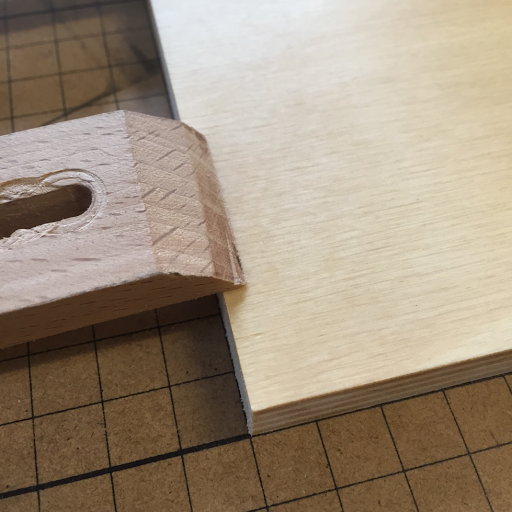 A 5″ block is actually 5 1/4″, leaving 1/8″ on each edge for the clamps. 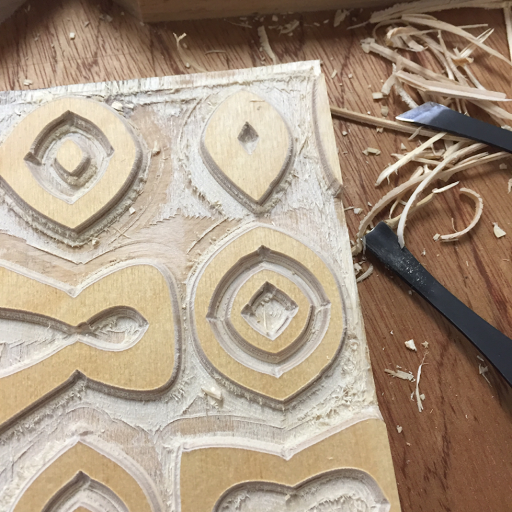 After carving, there is a solid border, but since my measurements are careful, I know exactly how much space is left on the edges. Then I go to the table saw. Yes, I have the anti-kickback mechanism and blade guard removed. (Trust me, I’m careful. 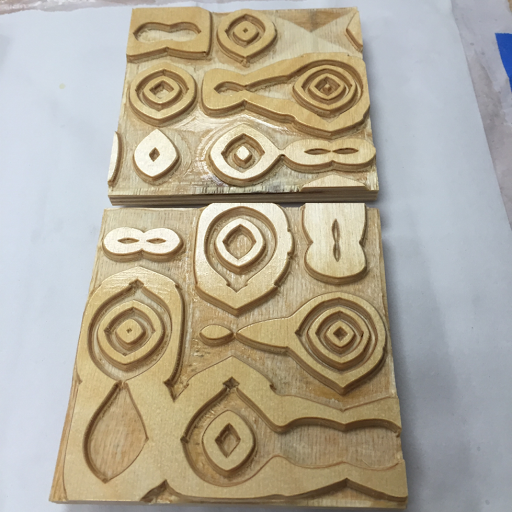 I know that it’s much easier to master a new craft with all of my fingers attached.) I’ve also gone to great lengths to ensure that the blade and fence are absolutely, perfectly parallel. With a careful width setting on the fence, I slice off the edges, ensuring that the blocks are oriented the same way so that any minuscule error shows up on both blocks, keeping them in register with each other when it comes time to print. 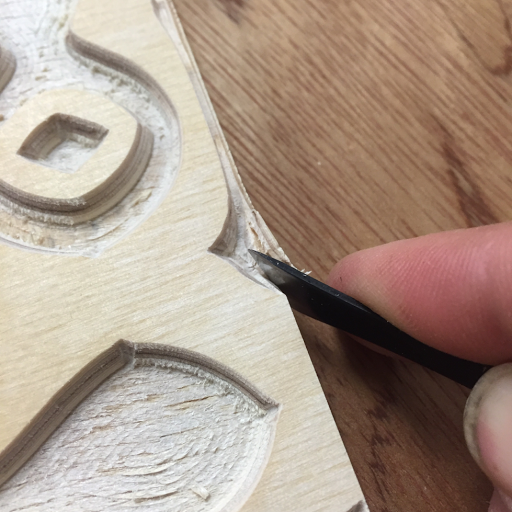 Since there was only 1/8″ of extra space on the edges, I couldn’t drive the router into the border and had to remove the outside bevelled edge by hand. One day, I’ll be doing a lot of hand carving on the plates, so this is just a taste of things to come. After trimming and cleanup, it was time to add one more layer of shellac. This seals the bevels and the low-lying areas of the plate against ink absorption. I did pretty well at rolling out the ink without a border to depend on. 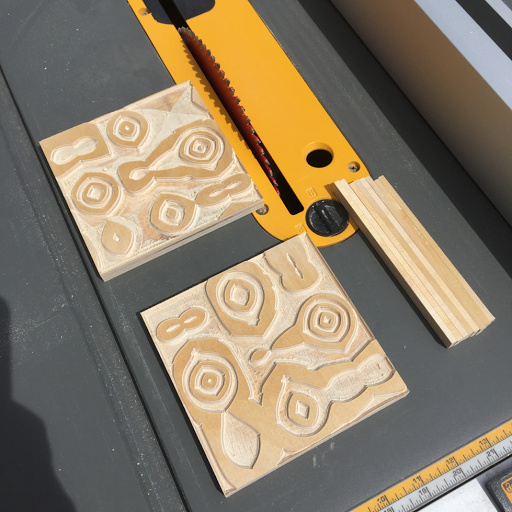 It just takes concentration and a steady hand, but I’ll probably eventually build an inking jig so that I can ink irregular blocks faster and more accurately. The pressure is another matter. If you look closely at the top and bottom of the image, you’ll notice that the blocks are digging into the paper. This is because the total pressure of the roller is concentrated in a smaller area, leading to extra pressure per inch. Concentrating pressure like that will quickly compress parts of the blocks, causing them to wear out after just a few impressions. This is a real problem and one that I’ll need to solve before I can make heavy use of the borderless printing technique.